Up until about a month ago, I had been dragging along a half-functioning carry-on bag with one slightly disintegrated wheel and enough scrapes and tears to make it worthy of being showcased in a World War II museum—a true relic, clearly. I can’t quite explain why I allowed myself to endure the humiliation of pulling it around for so long (I literally had to wheel it backward to it wouldn’t feel like I was dragging a blanket underneath it), but enough was enough and I finally buckled down and bought myself a proper piece of luggage—and I’ve never felt better. I presume you’re a responsible adult and aren’t going through what I went through, but regardless of your situation, we can all agree that investing in a piece of luggage is the first step to creating an enjoyable travel experience for yourself. So what do you need? It depends. I broke it down into three categories: the weekender, the carry-on, and the check-in. Of course, there’s a plethora of options (hard shell, spinner, oversize, etc. ), but I tried to keep it nice and simple because life is complicated enough as it is. Scroll down to shop my picks, and if you have an amazing piece of luggage you want to praise, leave your suggestion in the comments. Heading out of town for the weekend and don’t have room in the car for a suitcase? Reach for a weekender. 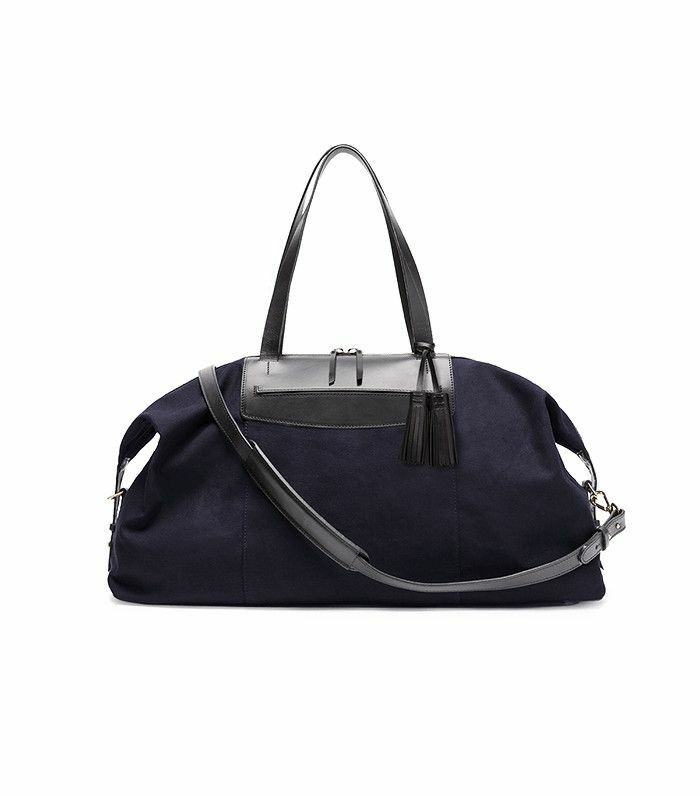 These oversize bags are ideal for stuffing a couple days worth of clothes into, and they come in so many versatile, sleek colorways. They’re also great for taking on a plane if you want to stick your laptop and a pillow inside but check the rest of your goods in a suitcase. Let me preface my carry-on selections with a disclaimer: I assume no responsibility for airlines being lame and making you check your bag. That said, these are all labeled by their respective brands as carry-on luggage, so you should be in the clear. I swear by the carry-on bag—not only does it force you to actually plan your outfits, but you also don’t have to wait at the baggage claim for what seems like forever. You can just quickly whisk away to wherever you’re going. The big daddy. The big kahuna. These luggage pieces will make accomplishing your packing list a breeze. Plus, they’re sleek and versatile (aka you’ll look super profesh wheeling them around the airport, train station, or wherever). Now that you have the luggage part nailed down, here are some chic airport outfits to get you ready for take off.